Bullpen Bulletins in February 1980 included a checklist for the “Marvel Masterpieces on Sale This Month!” Most of them anyway... 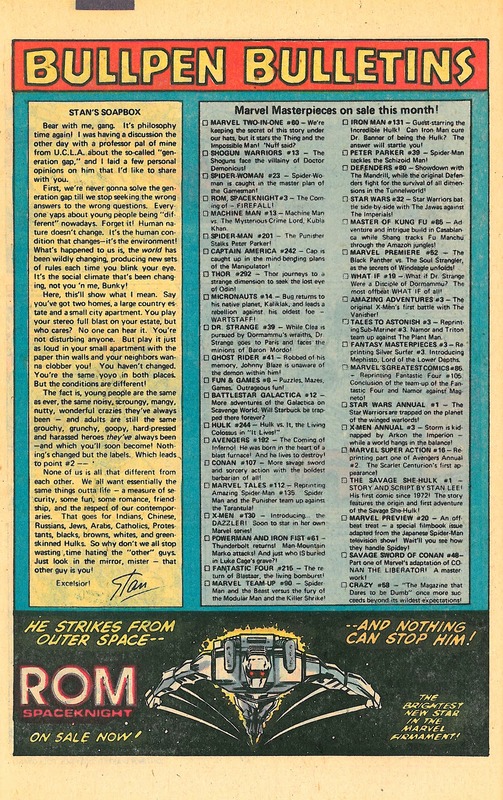 I always viewed the Marvel Checklist as the Bible of what was being published in any given month, so it’s interesting to see how many inaccuracies there were as I look back at these old issues. For example, the February Checklist lists Crazy Magazine #58 and Savage Sword of Conan #58 when both those issues have January 1980 cover dates. The Checklist also has Fun & Games #8 when issue #6 was actually published that month. But for all the errors and omissions, there’s also very useful information, especially on books like Star Wars Annual #1 or X-Men Annual #3 that don’t list any month on their covers or interiors. Click on the scan below to see Bullpen Bulletins in high-definition!